As became their tournament trend over the course of that portion of their 2017 regular-season slate, the Bulldog volleyball team stumbled a bit in pool play on Day One of the Rio Rancho Jamboree. In bracket play, however, they were on their game. 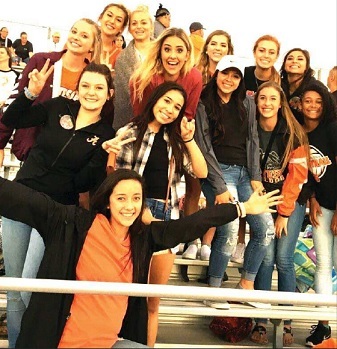 Artesia logged a pair of four-game victories over Hope Christian and Roswell High Saturday to take the Silver Bracket and – most importantly – improve their season mark to 10-1. “We played better today,” head coach Alan Williams said Saturday. “It seems like we always play good when it counts. 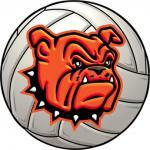 Versus Hope Christian, the ‘Dogs found themselves tied 1-1 after two sets (25-18 and 22-25) but were able to edge the Huskies in Game Three, 25-21, before closing out the match in Game Four, 25-18. In a District 4-AAAAA preview against Roswell High, the girls in orange bounded out to a 2-0 lead before faltering in the third. They regrouped, however, and were able to close it out in four. “The girls had really high intensity in that one,” said Williams. “Against Hope Christian, we had another injury we had to overcome, so that threw us off a little bit. And then against Roswell, we missed some key serves at key times in the third game that kind of kept them in it. On the weekend, Bailey Pearce led the ‘Dogs in kills with 25, followed by Stacia Martinez with 13, Dezaray Boyce and Malori McSpadden with 11 apiece, and Gracie Puentes with eight. Alexa Riggs had 46 digs over the course of the two matches and Martinez 22, Kyrah Gonzales posted 41 assists and Elliot Harrison 35, and Riggs, Pearce and Harrison all had three aces from service. The ‘Dogs will now return home Tuesday to host Carlsbad at 7 p.m. at Bulldog Pit before closing out their regular-season slate on the road against Portales Oct. 3 and Alamogordo Oct. 5.